Flying to Dallas using Bolt Jets guarantees a thoroughly outstanding service from beginning to end. We provide quality private charter jets for business or leisure use and offer an excellent level of customer service for all of our clients. Our private flight prices are extremely competitive and with over 1,200 different jets to choose from, there’s something spectacular for every trip. Bolt Jets can fly from anywhere in the world and are the leading choice for corporate trips to Dallas or leisure trips to Dallas. So whether a private charter jet is required for a business meeting, a romantic trip for two, bachelor or bachelorette party, don’t hesitate to contact Bolt Jets. 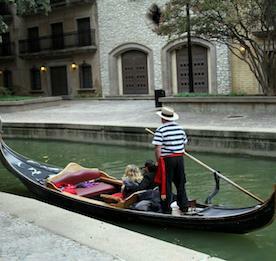 We will organize every detail for a luxurious journey, in and out of Dallas. The Bolt Jets concierge team is available 24 hours a day, 7 days a week and 365 days a year. Our team always goes the extra mile to ensure every Dallas charter flight is thoroughly enjoyable. 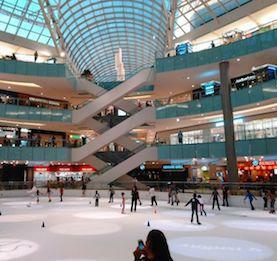 Downtown Dallas is a hub of hotels, shopping, restaurants and culture. To really experience the arts, head to the Arts District or explore the city center where there’s lots of local history, particularly focusing on the first ever settlers. Children will enjoy a visit to the zoo but if shopping is on the menu, head to The West End with turn-of-the-century store fronts and warehouses, home to over 100 shops, galleries, restaurants and nightclubs. These streets are decorated with vintage street lights and there are regular horse-drawn Surrey’s and street performers to savor. For live music, visit Deep Ellum where music-lovers will enjoy rock-a-billy, heavy metal, jazz and blues. Fair Park is full of stunning art deco buildings and there’s often a festival, depending on the time of year. Museum lovers will enjoy a variety of different collections including The Science Place. There’s also an IMAX to catch the latest movie releases. The high-fashion area of Dallas is Greenville Avenue which boasts small, independent boutiques, clubs, restaurants and bars. Chic designer fashion can be found in Uptown on McKinney Avenue and to get there, take the McKinney Avenue Trolley, a historic streetcar. There are also plenty of antique shops in the area, some of which are located in old, historic houses. Swiss Avenue is an elegant area of Dallas and is the best place to take a gentle stroll and admire the different architectural styles of the building , from Spanish Renaissance to Tudor, Art Deco to Prairie. To really admire what Dallas has to offer, we recommend chartering a Bolt Jets to see it from above in all its glory. The best steak can be eaten at Corrientes 348. The restaurant serves fresh Argentinian beef as well as chicken, lamb and pork. Finally, for night-time entertainment, pop down to the Don’t Tell Supper Club which serves fabulous fresh whole fish (and plenty of other tasty items too). After 11.00pm it turns into a nightclub with thrilling burlesque and dance shows. Too busy to try out the best eateries in Dallas? Speak to our dedicated concierges team to arrange for dinning options from your choice of any Dallas restaurant during your charter flight out of Dallas. Bolt Jets provides high quality private charter flights and helicopter hire to and from Dallas, from anywhere in the world. Our concierge team is second to none, guaranteeing excellent customer service. With a wealth of knowledge on private jet travel and a number of competitive flight packages to offer, we won’t be beaten by the competition. 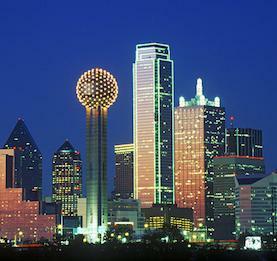 Planning a corporate trip to Dallas? When planning a corporate business trip in and out of Dallas, the concierge team is available to organize everything, from advising on the best hotels to stay at, restaurant recommendations, on-board dining and assisting with onward journeys. There’s nothing they can’t do and with availability 24 hours a day, 7 days a week, 365 days a year, they’re always at the end of a telephone to tailor the ideal private flight package. There are different airport options when chartering private jets to Dallas.